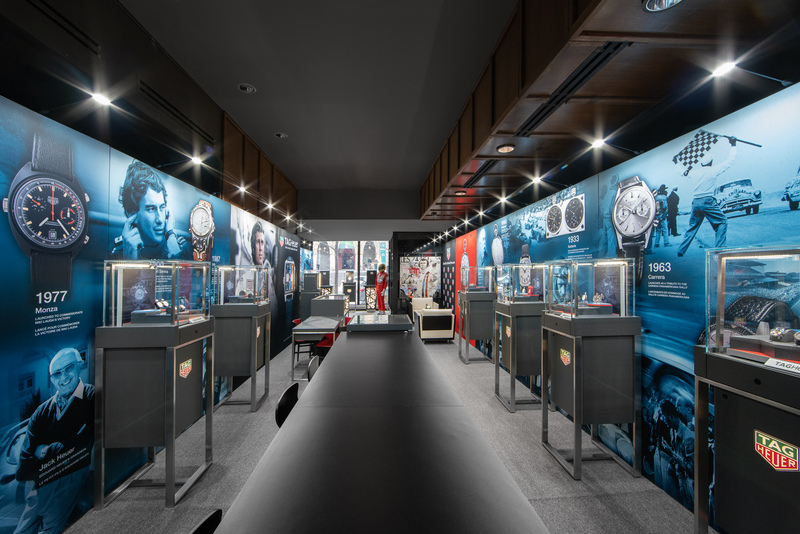 Happening in Montreal now until January 31, Museum in Motion is a travelling exhibit of impressive Tag Heuer timepieces. 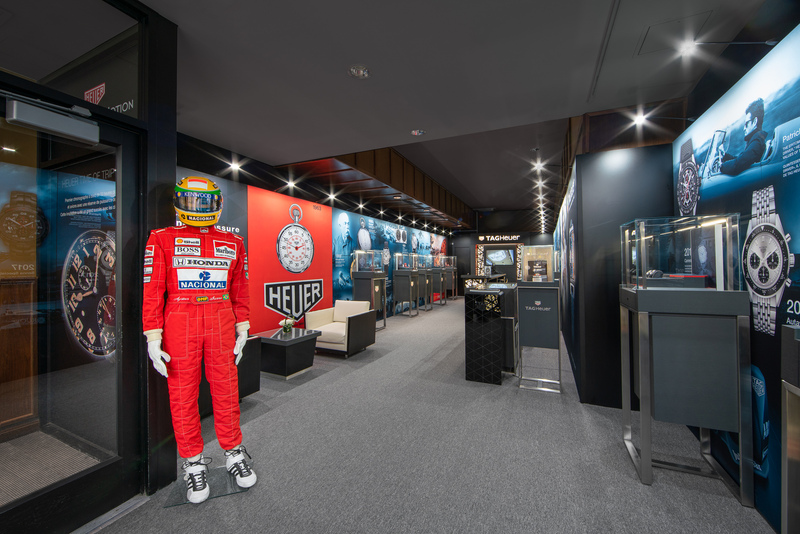 The collection of watches are from the Tag Heuer Museum archives in La Chaux-de-Fonds, Switzerland, as well as from collectors’ personal collections. Museum in Motion is located adjacent to the Birks flagship on rue Saint-Catherine in Montreal. Don’t crack under pressure. A corporate slogan (have you guessed for whom?) and for some, a reality check during the frenzied holiday season. Interrupt the fa la la time for some favourable time with Tag Heuer. Happening in Montreal now until January 31, the artfully curated Museum in Motion is a travelling exhibit of impressive Tag Heuer timepieces. The collection of watches—some from the Tag Heuer Museum archives in La Chaux-de-Fonds, Switzerland, and others from collectors’ personal collections—will have you marvelling in time. Tag Heuer has a rich history with motorsport and thus it should come as no surprise one of the foremost timepieces showcased in Museum in Motion is an original 1965 Carrera. (Jack Heuer, great-grandson of the company’s founder created the watch specifically for race car drivers; the watch’s name came from the Carrera Panamericana—the open road racing event in Mexico during the 1950s.) The Tag Heuer Monaco, meanwhile, was made famous by Steve McQueen when he wore it in the 1971 film Le Mans, and the Monaco 1970 and 1975 are both on display in Montreal. Also exhibited are the 1977 Manhattan and the 1974 Calculator, with special editions of a 1979 Kentucky (a tribute to the Kentucky derby, designed with a horseshoe-shaped case), a 1972 Montreal (named for the Formula 1 Montreal circuit), and a 1968 Easy Rider (known as the “Jacky Ickx” edition). 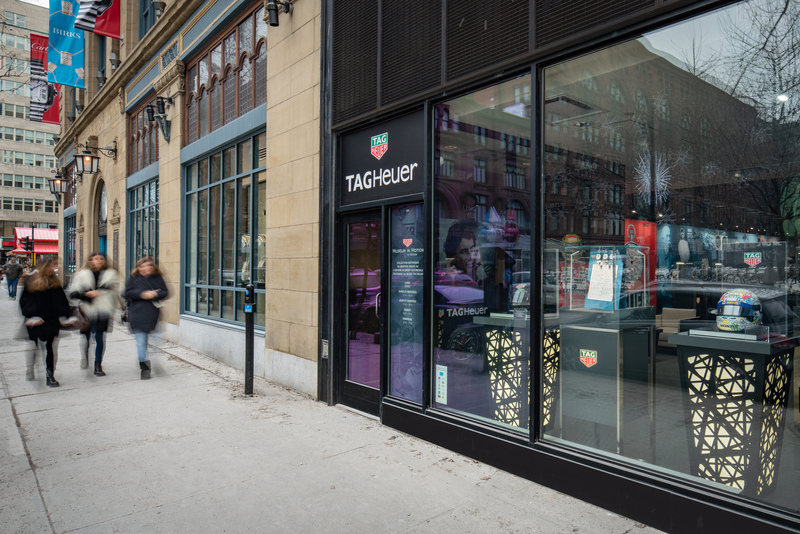 Located adjacent to the Birks flagship on Saint-Catherine, Museum in Motion is free admission for a ride down memory lane with Tag Heuer. Museum in Motion is on at 620 Saint-Catherine St W, Montreal, QC, until January 31, 2019.